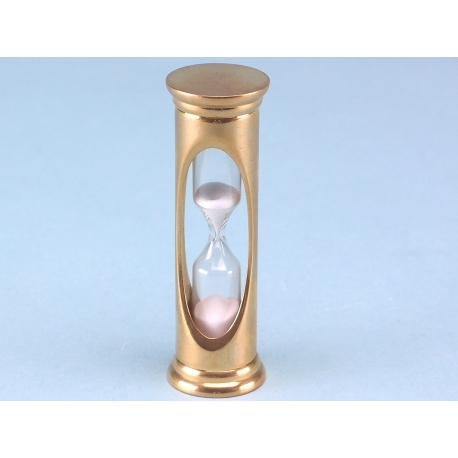 A polished brass and glass sand timer 8cm high. Timed for 3 minutes. 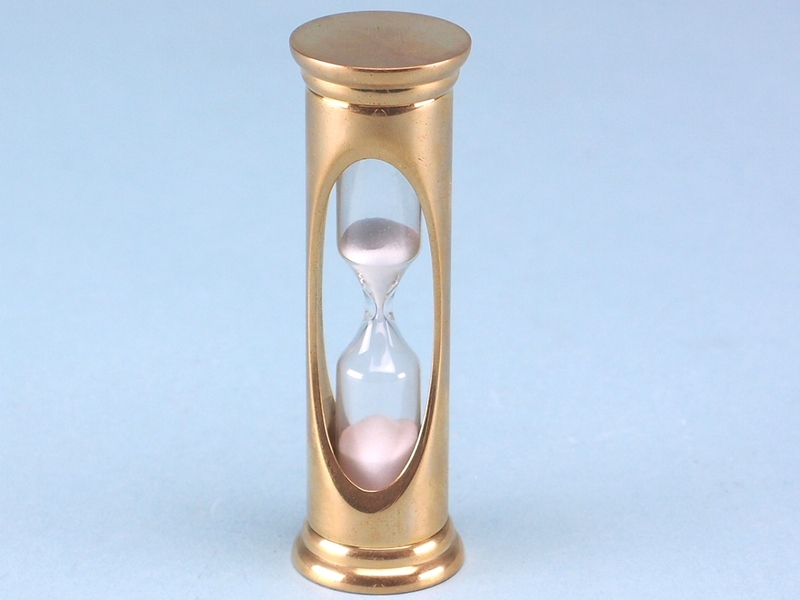 Sometimes it is nice to keep things simple, and with this Brass Sand Timer, you can do just that. A classic item that has been around for centuries, sand timers are an easy, and often a relaxing way of keeping track of time. Ideal for cooking, brushing teeth or merely managing your free time, this item can be used in multiple scenarios. This particular timer has a sleek traditional design and a stylish brass finish that makes for a timeless look. Whether it will be used regularly or just be displayed as an ornament, this eye-catching item is sure to impress regardless.